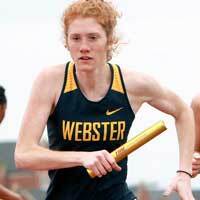 Webster University's Meghan Illig is a nominee for the prestigious 2018 NCAA Woman of the Year Award, which honors the academic achievements, athletics excellence, community service and leadership of graduating female college athletes from all three divisions. Illig was the only female student-athlete from the St. Louis Intercollegiate Athletic Conference nominated for this award, and is a member of Webster's women's cross country and indoor and outdoor track and field teams. 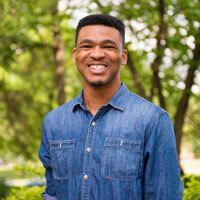 Quinton Ward was honored as the 8th recipient of the Katherine Dunham Fellowship program in January. This distinguished fellowship is designed to equip young African-Americans with the tools and skills to succeed in the arts administration field, where they are historically underrepresented. Featured performers and speakers have been confirmed for the Conservatory of Theatre Arts' 50th anniversary celebration weekend (April 20-22), and tickets are available for Saturday night’s event emceed by Tony Award-winning choreographer and director Jerry Mitchell. Among those appearing are Webster alumni Hunter Bell ([title of show]), Rocky Carroll (NCIS), Kevin Earley (Broadway’s Les Misérables, Tale of Two Cities, Death Takes a Holiday), Julie Ann Emery (Better Call Saul), Nathan Lee Graham (LA to Vegas, Sweet Home Alabama), Sigrid Wise (soon-to-be Juliet in Shakespeare Festival St. Louis’ Romeo and Juliet), and dean Peter Sargent, along with other faculty, alumni and students. Performances of the Conservatory production Brigadoon will also run that weekend as part of the celebration. 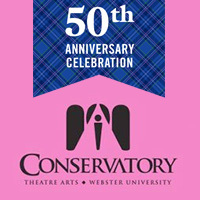 Webster University’s Conservatory of Theatre Arts marks its 50th anniversary during this 2017-2018 academic year, and will hold a celebration weekend April 20-22, 2018. The public is invited to join alumni for Saturday evening's Conservatory Celebration emceed by Tony Award-winning choreographer and director Jerry Mitchell, as well as performances of the Conservatory production Brigadoon on Friday evening, and Saturday and Sunday afternoons. 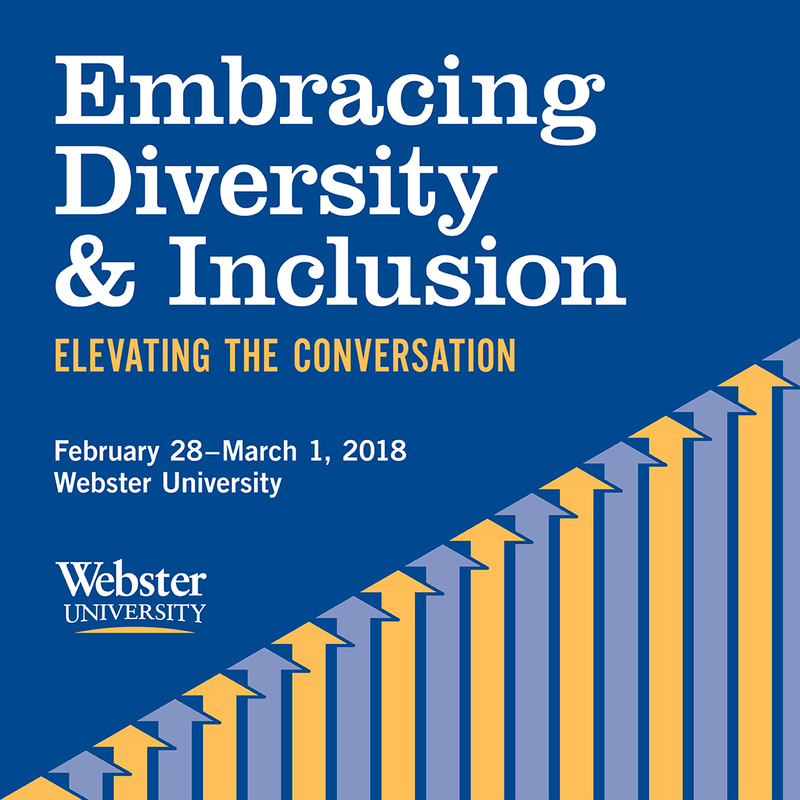 Webster University is hosting its 3rd Annual Diversity and Inclusion Conference on Feb. 28 and March 1 as a forum for students, faculty, staff, alumni and community members to share their experiences, research and emerging trends in creating communities that embrace diversity in ways that welcome and include. 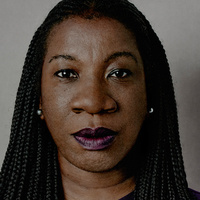 From films and music to lectures and guest speakers, Webster University has planned a number of events on campus to honor Black History Month. The Webster University community is invited to the 23rd annual Martin Luther King Jr. Community Celebration on Sunday, Jan. 14, at Steger Sixth Grade Center in Webster Groves. The celebration includes a march, dinner reception and service. 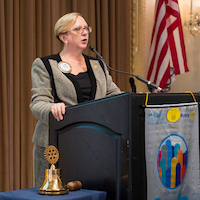 Nicole Roach, Webster University’s Associate Vice President of Diversity & Inclusion, will be representing the University at the event by reciting a poem. Webster University and the Rotary Club of St. Louis recently awarded college scholarships to 28 high school seniors from 14 St. Louis public high schools. 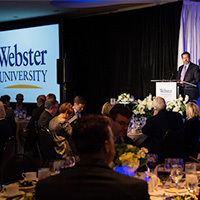 The scholarships could be worth up to $20,000 per student over four years during their undergraduate experience at Webster University. 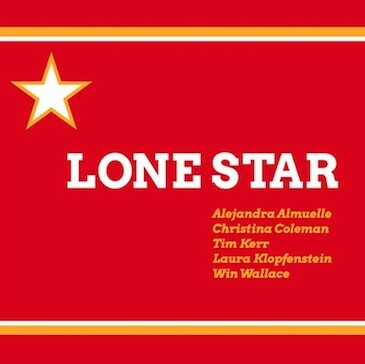 The Cecille R. Hunt Gallery will host an opening reception for the Lone Star Exhibition on Friday, Nov. 10 from 6 p.m. to 8 p.m. The exhibition will run until Dec. 15. 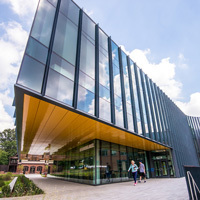 Webster University will dedicate Browning Hall, the new state-of-the-art interdisciplinary science building, with a keynote speech, a series of faculty and student presentations and a ceremony on Oct. 19. The event is free and open to the public. Webster University is hosting its 10th-Annual Human Rights Conference Oct. 11-12 at Browning Hall Auditorium on the university’s main campus. 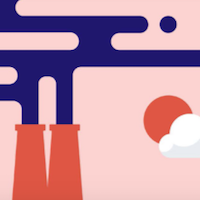 The 2017 conference, which explores environmental justice and human rights, features scholars and activists who are concerned about environmental protection and social justice. The two-day event is free and open to the public. More Missouri K-12 teachers will have the opportunity to further their careers and complete new advanced certifications thanks to a federal National Professional Development (NPD) grant received by the Webster University School of Education. 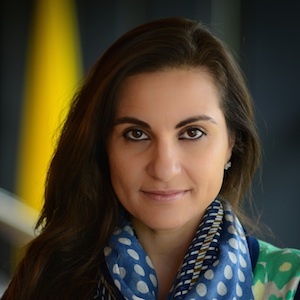 Webster University’s Teaching English as a Second Language program has received a $2.7 million NPD grant from the U.S. Department of Education’s Office of English Language Acquisition. 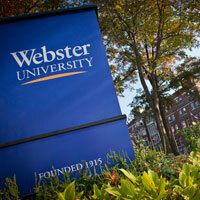 This is the largest grant that Webster University has yet received.